I have seen many of our presidents over the decades “show backbone” when some foreign thug tried to threaten the United States or its interest. Iraq’s invasion of Kuwait comes to mind, or the Bay of Pigs, or our counterattack on the Taliban. All of those, of course, involved deployment of American military might against some formidable threat. Presidents have, of course, stood up for the American people, but perhaps never to this degree. Members of Congress don’t get to hold our democracy or our economy hostage over a settled law. They don’t get to kick a child out of Head Start if I don’t agree to take her parents’ health insurance away. That’s why I won’t pay a ransom in exchange for reopening the government…or raising the debt ceiling. Here is a U.S. president that recognizes that a poor child inside the United States has rights worth defending, that providing health insurance for 48 million Americans is a good thing for at least those 48 million Americans, whether Rand Paul, Ted Cruz or Michele Bachmann like it or not. Destroying the world economy for ideological ideals of a minority inside the United States is a ludicrous proposition and I am proud of Obama for being up to the task. 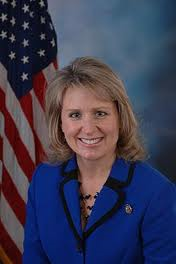 This is Congresswoman Renee Ellmers. She is one of the Republicans that wanted the government to shut down and is now giddy about it. The thing is, I need my paycheck. That’s the bottom line. She does not seem to have any concern about the 800,000 or so government employees on furlough without pay, the other million or so contractors who have been or will be getting laid off soon, the operators and employees of hotels, airlines and our tourist industry that is on standstill while all the national parks are closed. No, they don’t need their paychecks. They are just pawns. 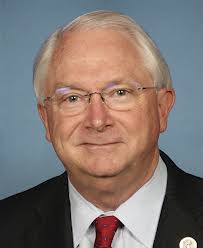 This is Congressman Randy Neugebauer. First Congressman Neugebauer votes to shut down the government. The next day he brags about it on the radio. The following day he is at a federal park in D.C. and berates a female park ranger who keeps people out of the closed park, simply following orders. He says she should be ashamed of herself. I say Congressman Neugebauer has issues. Is he really fit to govern? The Furnace Creek 508 Bicycle Race is known as the Toughest 48 hours in Sport. The 30th annual race will take place on October 5-7, 2013. Known as the Great American Bike Race, it is the world’s premier ultra cycling race. The 508-mile race is revered all over the world for its epic mountain climbs, desert scenery, desolate roads, and its reputation as one of the toughest but most gratifying endurance challenges in the world. The course has a total elevation gain of over 35,000 feet and crosses ten mountain passes. It starts from Santa Clarita just north of Los Angeles, goes across the Mojave Desert, through Death Valley National Park and Mojave National Preserve, and continues on to the finish line at the gateway to Joshua Tree National Park. You cannot just enter this race, to you have qualify for it. Part of the process of qualifying is to participate in a crew for a racer. Each racer is accompanied by a chase vehicle that carries provisions, spare parts and drives behind the racer for safety since it’s on the open road. Racers fly in from all over the world, and not just themselves, but crews of many people. They rent vehicles and buy gear. They prepare for this for a lifetime, train for it for many months, and then they get on an airplane and fly to the United States for the big event. One of the most exciting parts is biking through Death Valley in the middle of the night. Except, when the bikers arrive this year, the road through Death Valley is closed because of an ego trip of the Tea Party knuckleheads in congress. The best bicycle endurance racers from all over the world plan for this for years, spend enormous amounts of money to participate, and then can’t do it because of American politics. Guess what image that portrays to the rest of the world? They don’t know what a Tea Party is. They don’t understand our system of government. All they hear is that a major road used for a world-class race in a world-class National Park is closed for political reasons. People from all over the world save their money to vacation in America and visit our national parks – once in their lives. The fall is a great time for a visit. The crowds are gone, kids are in school, the leaves are changing colors, and it’s still warm and sunny out. Middleclass families from Poland, Thailand or South Africa have saved for five years to come to America for three weeks. 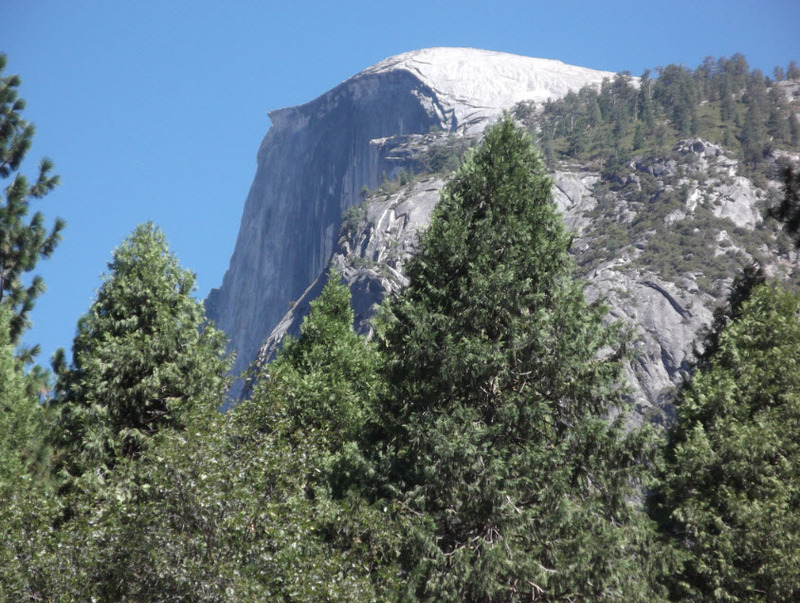 They flew into LAX yesterday, rented a car and are right now driving to — Yosemite. Or the Grand Canyon. Or Death Valley. And when they get to the gates of any of those parks, they are CLOSED. The business of the hotels, the tour companies, the restaurants, the outfitters, all evaporated today. We make ourselves out to be the most prosperous, the most modern country in the world. But we can’t keep our tourist attractions open because we have a dysfunctional government? Every member of congress should get sent home, just like you’d do it to a five-year-old that throws a tantrum at daycare. I am already looking forward to the next election and the slashfest I will have. Government Shutdown – How About We All Stop Sending in Taxes? Now that the government is shut down, perhaps we should all keep our money and stop sending taxes to the federal government. If it can just be shut down on the whim of a bunch of knuckleheads in congress, what good is it anyway? We all got up this morning and went to work, didn’t we? Let’s keep our money.